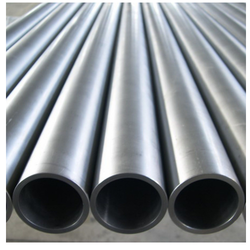 Manufacturer of a wide range of products which include stainless steel pipe, st52 tube and st52 pipe specification. We are manufacturing a wide range of St52 Tube. St52 Tube with Without Hard Chrome Plating size Up to 100mm Dia and length up to 6 meters. We are manufacturing a wide range of St52 Pipe Specification. St52 Pipe Specification with Without Hard Chrome Plating size Upto 100mm Dia and length upto 6 meters.